EyeEm organized via its Ambassador Fernando Cruz an event for this Saturday, May 11. There will be a special phoneography masterclass followed by a scenic photowalk through the city of Lisbon. 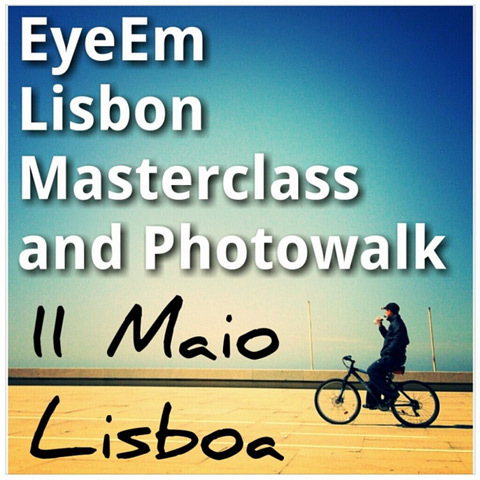 The event — aimed primarily at Eyeem members, but not restricted to them — will be of interest for mobile shooters in Lisbon and surrounding areas. The masterclass, which will take place from 5PM to 6PM, will be hosted by the Portuguese Institute of Photography (IPF). Professionals Jack Hollingsworth and Neill Barham will be the special guests, offering insights and sharing tips on how to make use of mobile devices and their many features as effective instuments also on a professional level. Jack, already a veteran as a commercial and travel photographer, is a well-known figure in the mobile photo community for his attention to the possibilities new technologies and tools have to offer to photographers and for his commitment on multiple fronts as an iPhoneography instructor and promoter. Neill is an active indie videographer and, among other things, one of the creators of the app FiLMic. A guest list for the masterclass was compiled via Facebook and Eyeem with the names of those that signed up for the event. The photowalk will start after the masterclass and will be not only an occasion to show participants through some of the most interesting areas of the city of Lisbon, spanning from the beautiful city center to the other side of the river Tagus, but also as a way for them to share photography techniques, expand their knowledge and socialize. If you are in Lisbon and want to know more, you can contact Fernando Cruz via Eyeem or through the Facebook page for the event.